As federal efforts to address the opioid epidemic remain haphazard, nonprofits on the ground in communities across the country continue to fill the void. Now, increased support from local and state governments—legislatively, not financially speaking—has allowed these organizations to create and revive critical harm reduction strategies. One nonprofit in New Hampshire is cutting out the bricks-and-mortar piece of the equation to bring clean needles to clients, after syringe exchanges were legalized in the state last year. The Southern NH HIV/AIDS Task Force recently launched a Syringe Services Program providing free access to sterile needles and syringes and safe disposal of used supplies. The program aims to reduce new infections, overdose deaths, and drug use in the greater Nashua region. There’s no state or federal funds that are allowed to be used for the purchase of materials such as clean syringes and all of the other supplies that people who use drugs need to do so safely. So what we are trying to do is get a small amount of grant money from AIDS United, which is a syringe service program that makes grants; we’ve received a little bit of funding from OraSure Technologies, which is an HIV testing company, and they’ve given us money to purchase the supplies. There’s not enough money in any of that for staff time or a bricks-and-mortar location or anything like that. Needle exchanges are one piece of the vast web of services that communities are assembling to combat the opioid epidemic. Supporters hope that connections with outreach workers will increase access to recovery services for clients, in addition to a reduction in infections. Congress had prohibited funding for exchanges until early 2016, despite significant evidence that the programs reduce the spread of certain viral infections, saving money for taxpayers. The big caveat is that funds still can’t be used on syringes, effectively downshifting the cost to states and local nonprofits. The launch of the program at the New Hampshire nonprofit is part of a changing landscape for two “harm reduction” strategies: needle exchanges and safe injection sites. A Stateline report in February found that at least a dozen states have legalized syringe exchanges since 2016 and five more Republican-led states were considering similar legislation this year. As writer Christine Vestal notes, syringe exchanges were originally started in large cities during America’s HIV/AIDS epidemic in the 1980s. Nationwide, LaKosky said, the list of syringe exchanges, both official and unofficial, has grown by about 15 percent a year for the past three years, with the fastest growth in Kentucky, North Carolina, and Ohio. However, safe injection sites, which allow clients to use drugs under the guidance of a medical professional, have faced an uphill battle in the US despite success abroad over the past few decades. Research on some of the approximately 100 facilities in operation outside the U.S. (mainly in Canada, Australia, and the E.U.) indicates a decrease in overdoses for users and more accessible treatment options. The first site was opened anonymously in an urban area of the US several years ago. Researchers reported that the site reduced injections in nearby public spaces and increased safe disposal of equipment, although the “proof of concept” evaluation published in the American Journal of Preventative Medicine couldn’t be more conclusive due to the secret nature of the site. Back on the ground, as NPQ’s Erin Rubin recently reported, direct care nonprofit workers in this field are already battling burnout and exhaustion. So, no matter what initiatives communities implement, evaluating sustainability is essential. 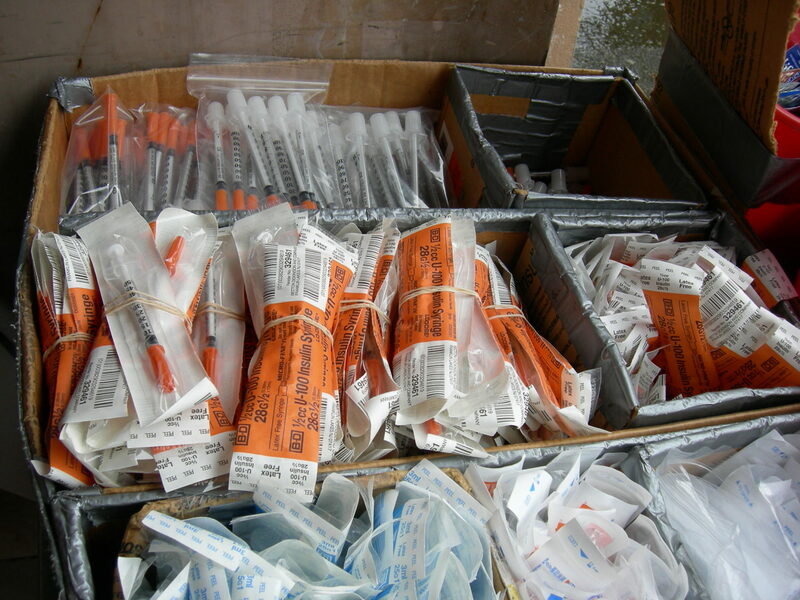 New Hampshire’s Wendy LeBlanc was clear-eyed about the long road ahead for these types of services and highlighted the minimal budget for starting the needle exchange program—including a number of volunteers—as key to its sustainability.